from PJMedia: Human civilization can be described as a long crawl away from a life that was nasty, brutal and short. America is winning that race. from The Daily Bell: 1. Getting Clever with Fear to Restrict the Internet. 2. Prosecutors pick a target, THEN find a crime. 3. Fitbit and pacemaker info used to catch criminals. from Reason: A passport to fly within the country, but no ID to vote. Government serves the politician not the people. from Wall Street Journal: "U.S. revenue and spending both hit record highs in fiscal 2017.
from Reason: How government has set things up so police departments can take anything they want with impunity. of course it's the NFL. 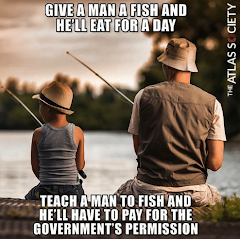 Government gives itself a license to steal. No crime necessary. Did The TSA Agent Steal Jersey Honoring Yankee Legend From The Luggage Of His Window? She Thinks They Did.